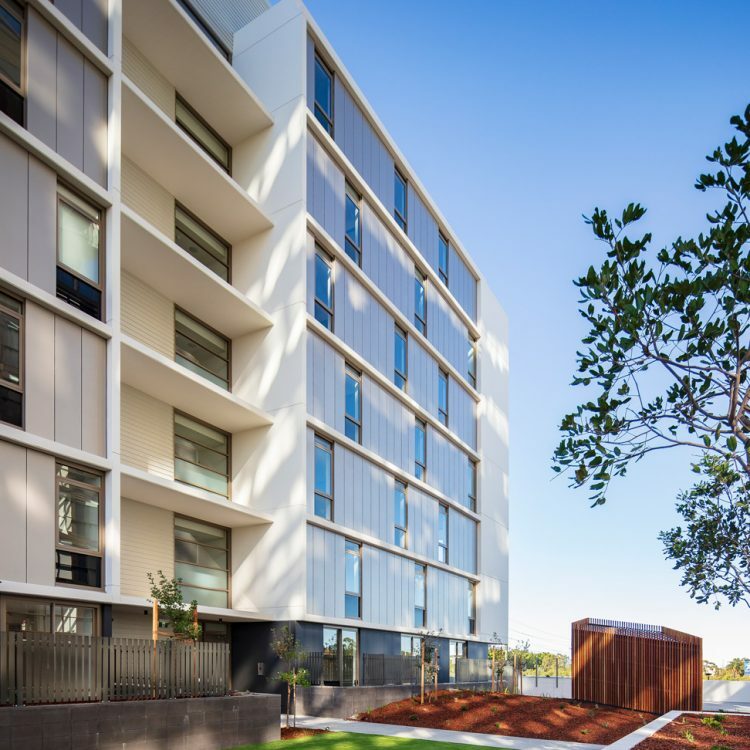 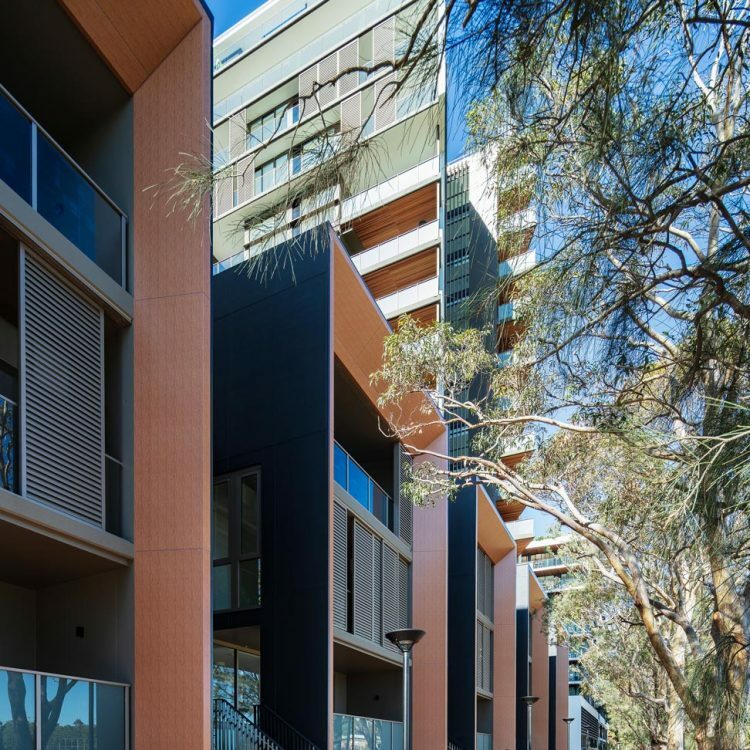 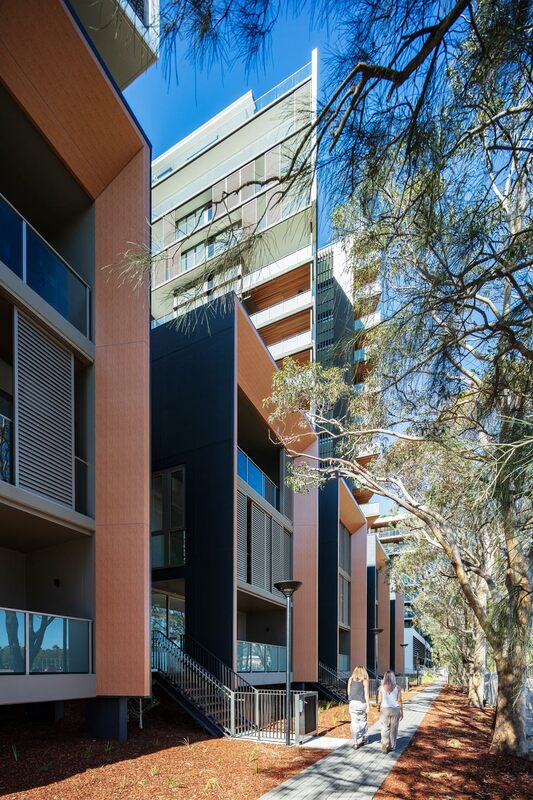 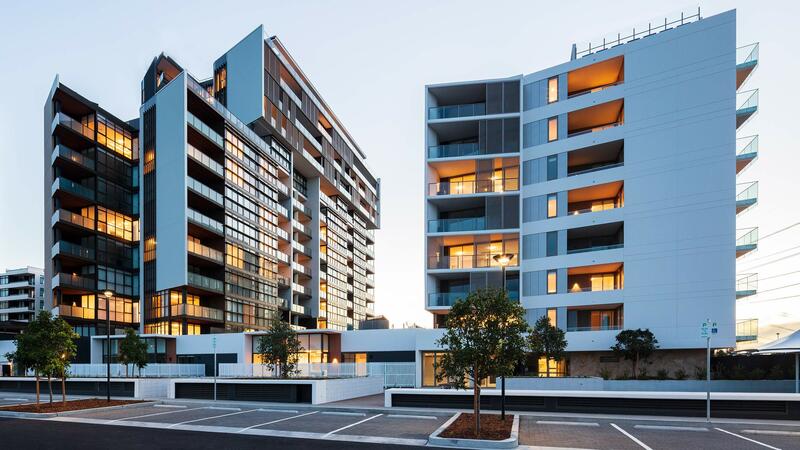 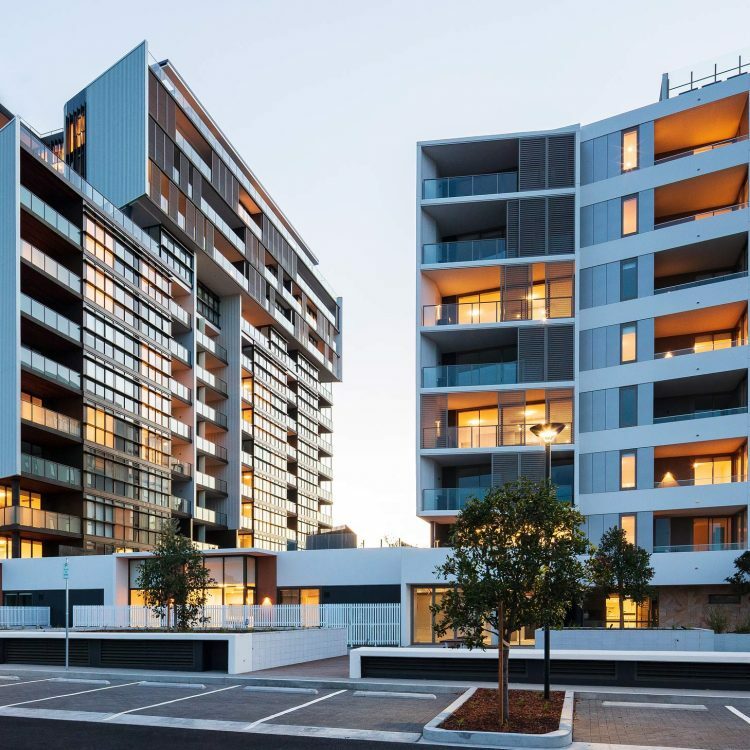 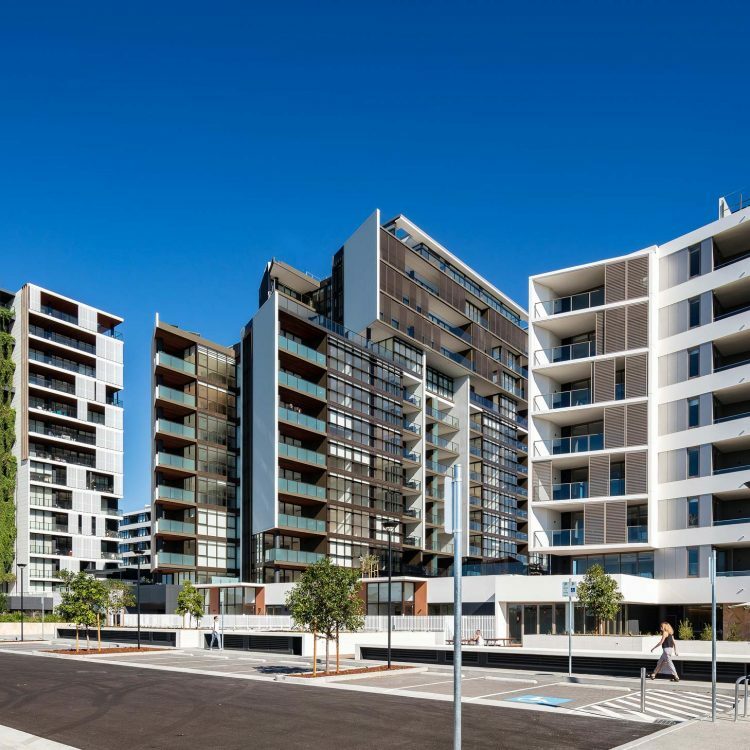 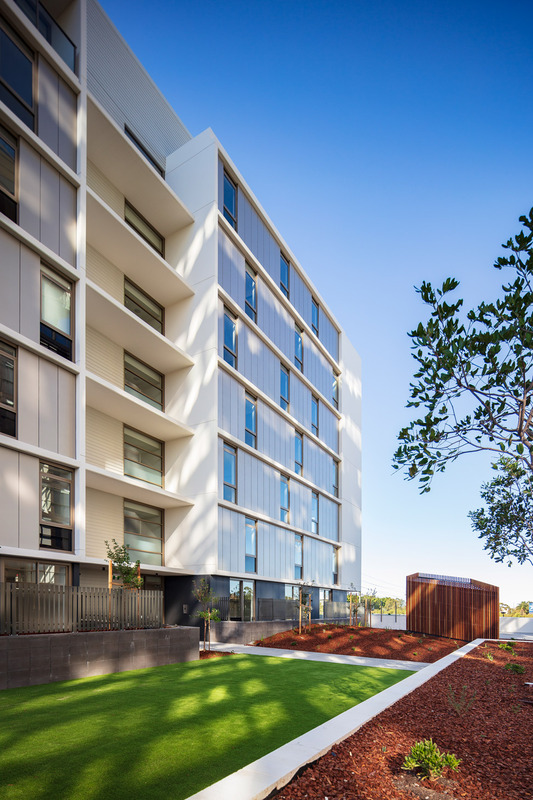 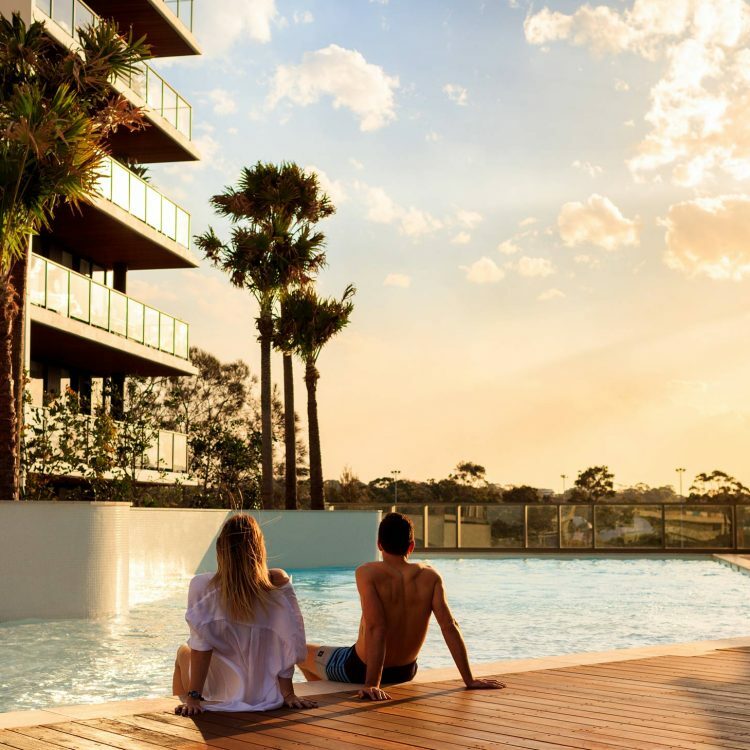 Stage 2 at Woolooware Bay Town Centre comprises 178 apartments in 2 separate buildings arranged around an elevated landscaped courtyard. 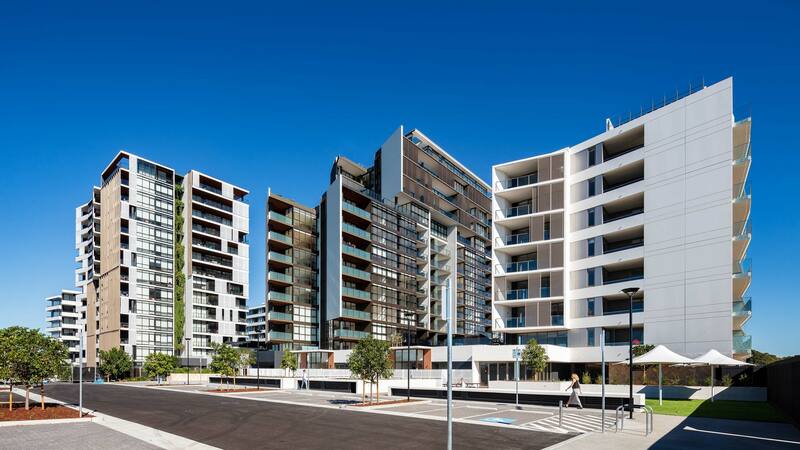 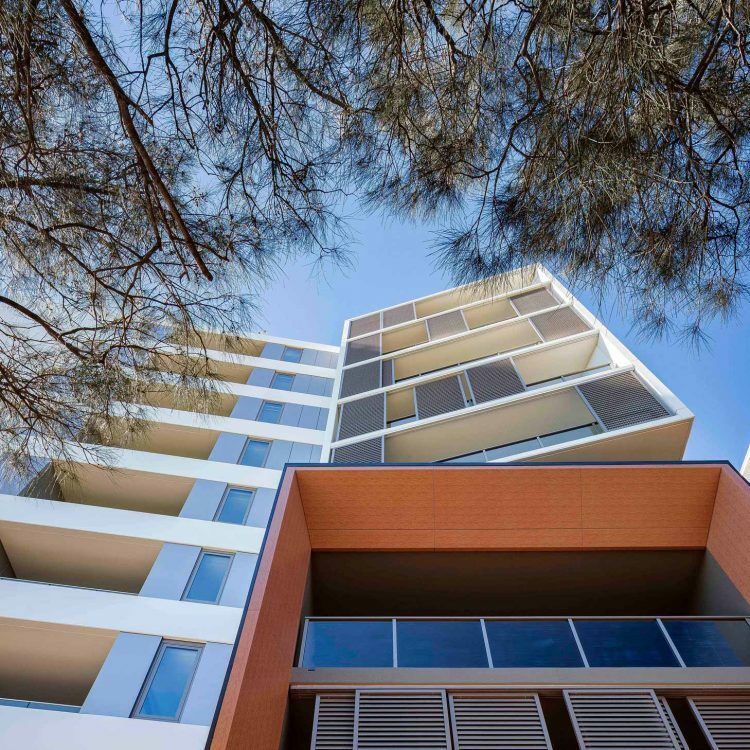 The buildings range from 8 to 15-storeys capturing views across Woolooware Bay towards the city. 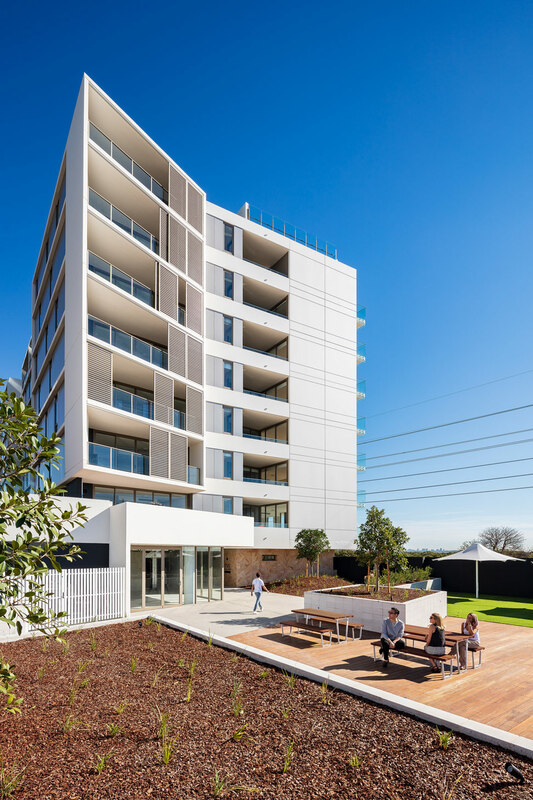 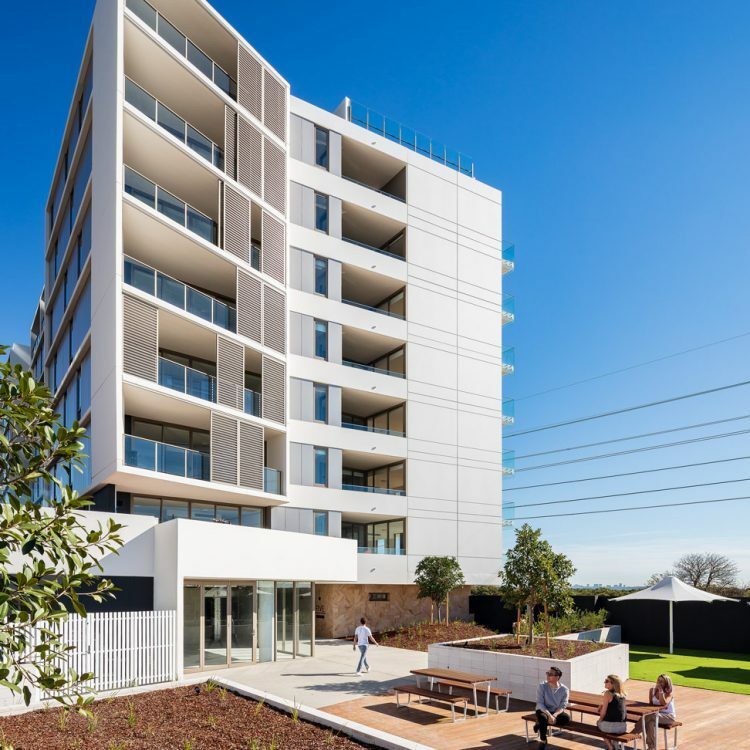 Two storey townhouses wrap the car park at street level and activate the public domain, while a cafe and pocket park are located along the eastern elevation overlooking the adjacent foreshore parklands. 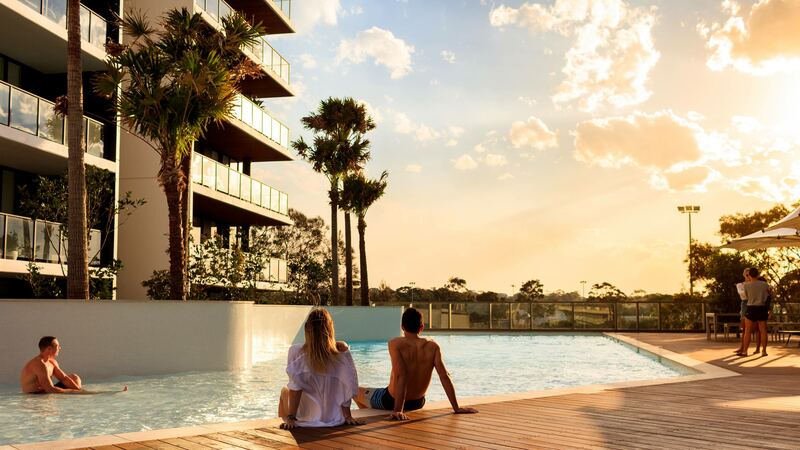 A large lagoon style communal swimming pool is provided at podium level. 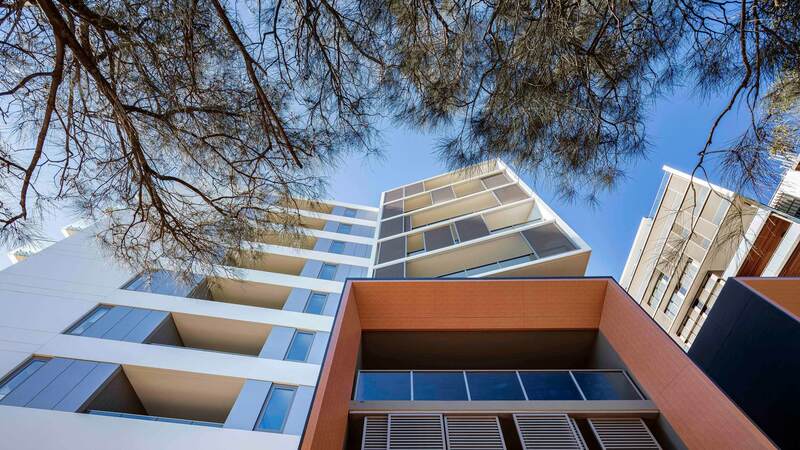 The proposed residential buildings overhead draw their inspiration from their direct waterfront location. 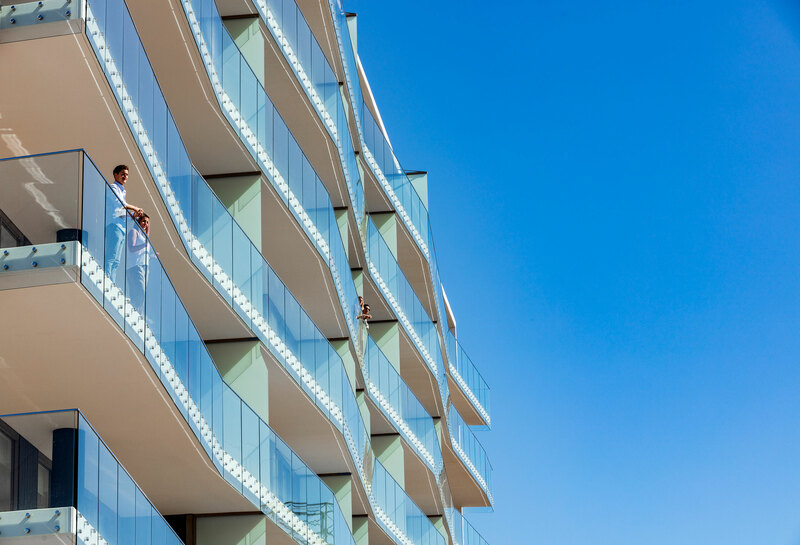 The shell like forms echo the typography of the bay and it’s protective cove shape. 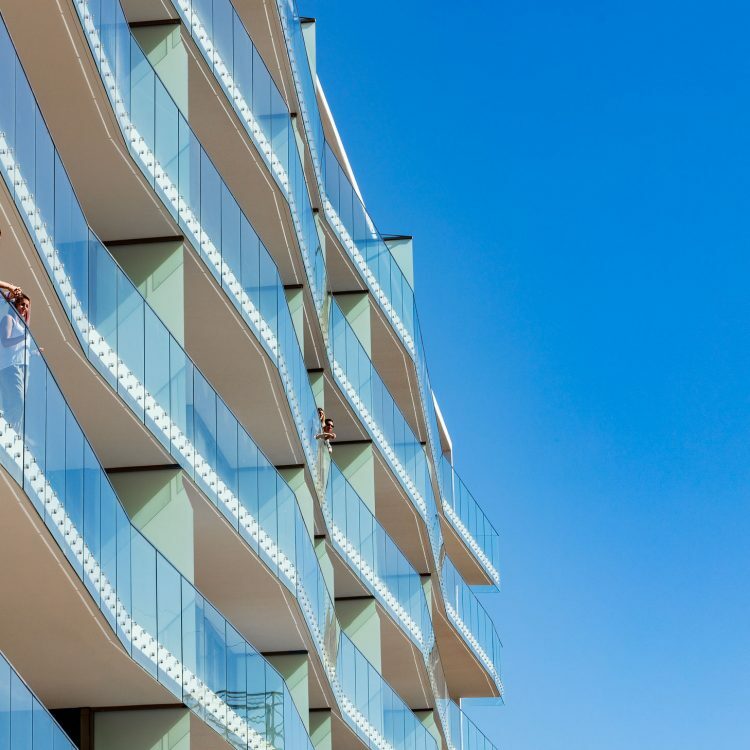 The zigzag profile of the northern balconies mimics the ebb and flow of the tide. 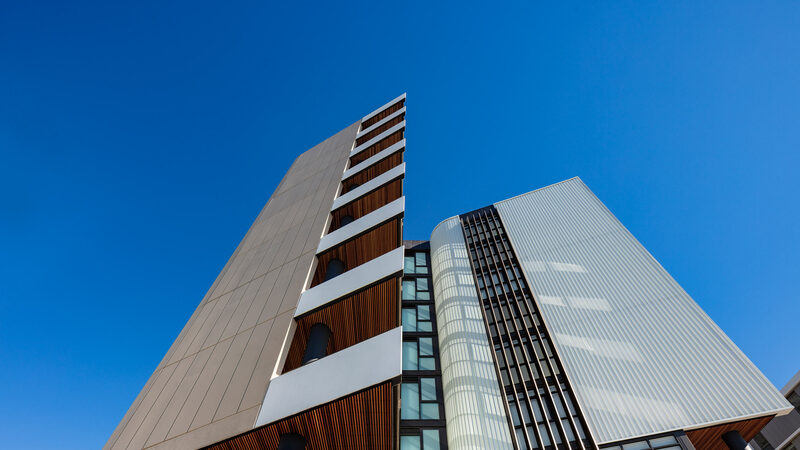 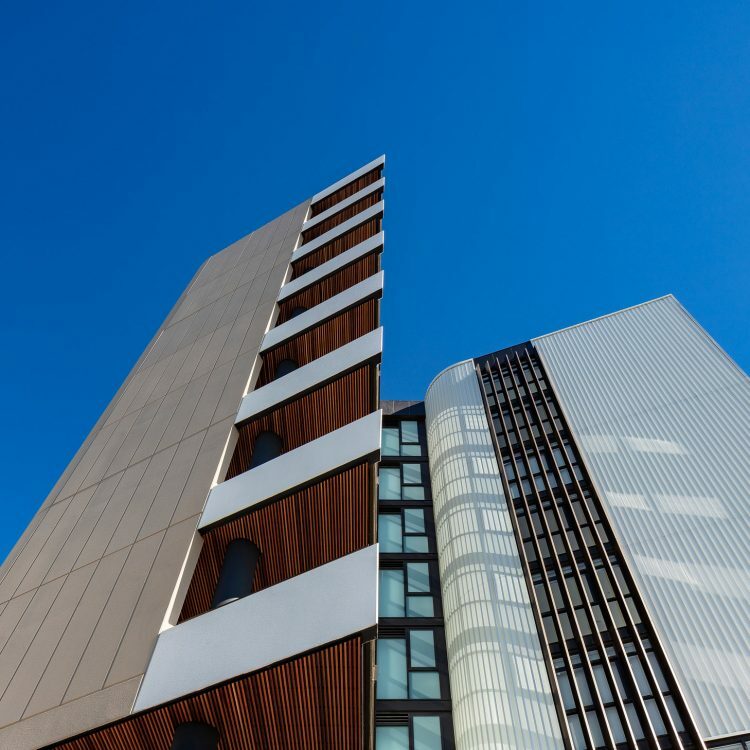 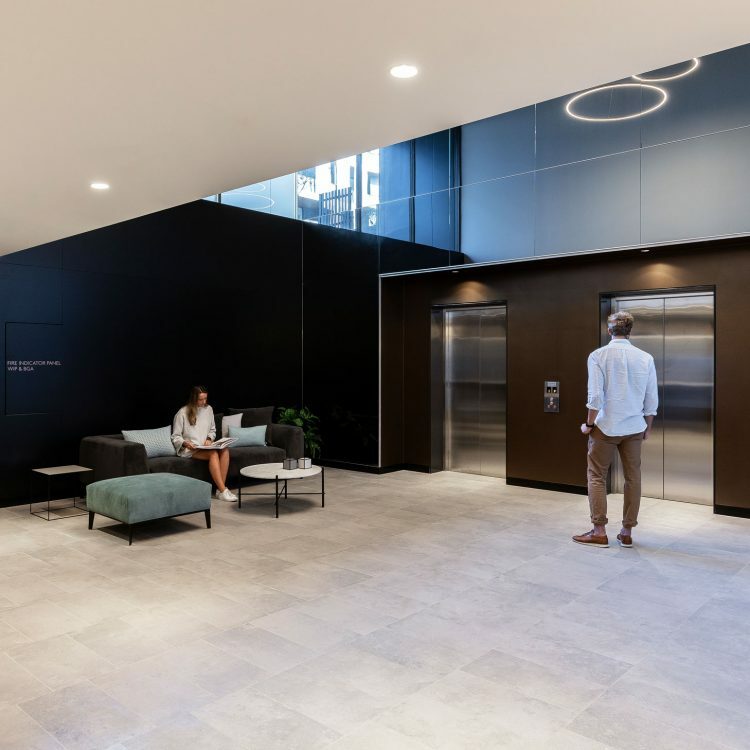 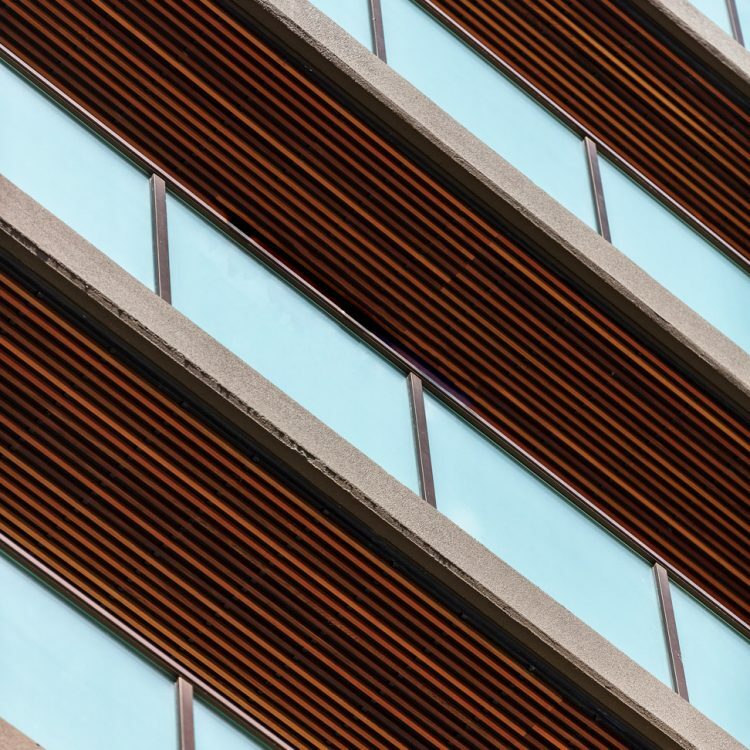 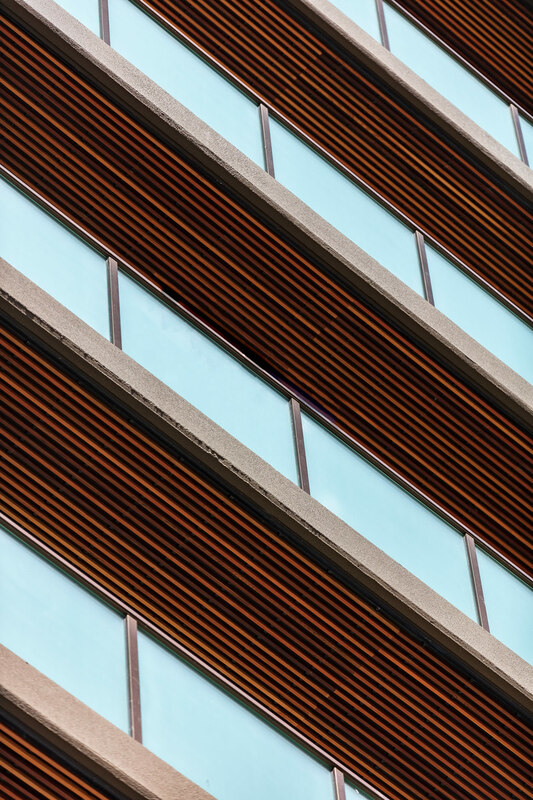 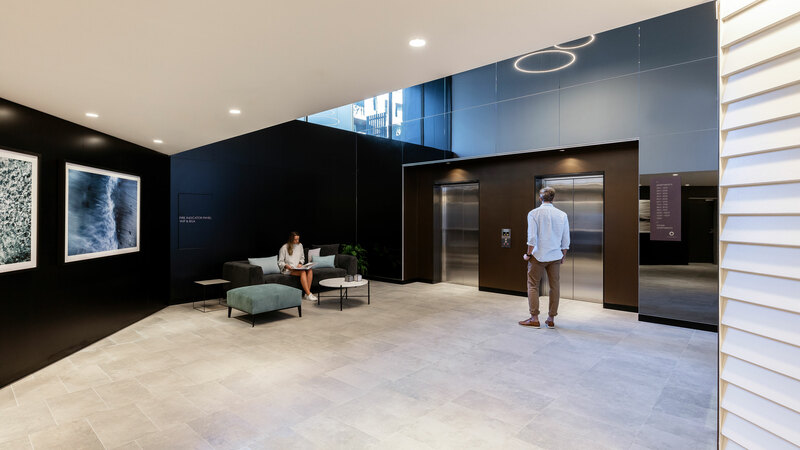 Materials are selected from a natural palette to add a sense of familiarity and warmth, including sandstone, timber, precast concrete and profiled metal cladding.